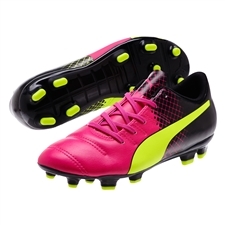 Featuring both the soft synthetic and premium leather versions, the Puma evoPOWER soccer boots are some of the best to control and power the ball. Worn by some of the top players in the world, Cesc Fabregas, Mario Balotelli, and Marco Reus, the evoPOWER is on display every weekend. 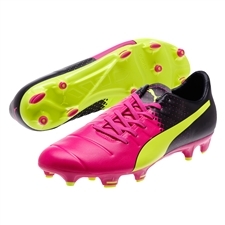 Check out our entire collection of Puma soccer cleats. Don't worry we also carry the newest, lightest and most flashy Adidas Soccer Cleats and Nike Soccer Cleats. Take a look at our whole collection of Soccer Cleats.